AOSP based Liquid Remix Oreo for OnePlus 5t is now available via a development version. This Android Oreo ROM for OnePlus 5t (dumpling) is brought to you by KillerDroid. No donation link found for KillerDroid. THIS IS AN INITIAL BUILD OF ANDROID OREO (Android 8.0), WHICH MAY HAVE MINOR BUGS. BACKUP THE CURRENT ROM BEFORE FLASHING. TRY AT YOUR OWN RISK. 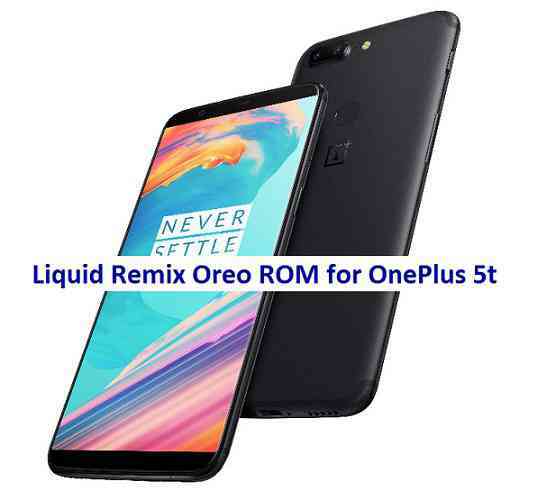 Flash the OnePlus 5t Oreo Liquid Remix ROM zip from device. Flash the latest Android Oreo Liquid Remix ROM ZIP from your phone and wait till it finishes flashing. To root this OnePlus 5t Oreo Liquid Remix ROM, flash the SuperSU and then Profit !! !